Its Friday which means its time for the reveal at TCR. 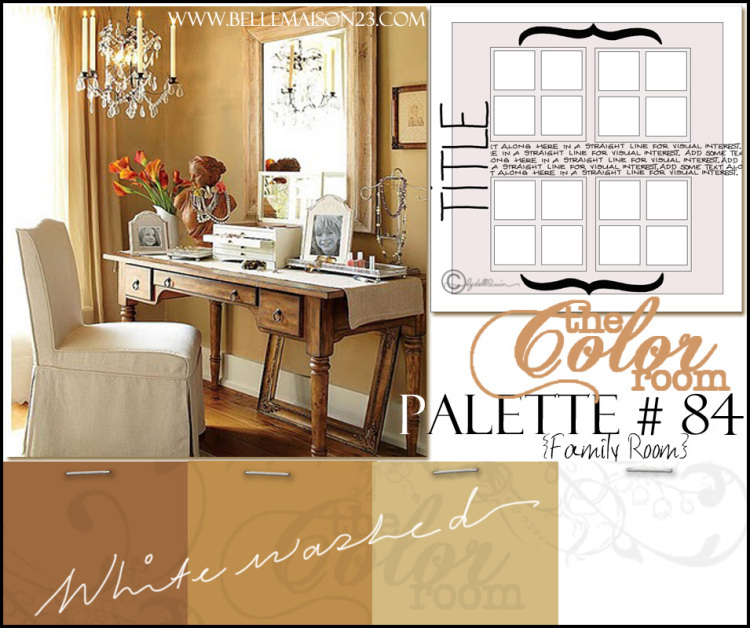 This weeks palette #84 is a yummy whitewashed one using colour from brown and sandy tones. 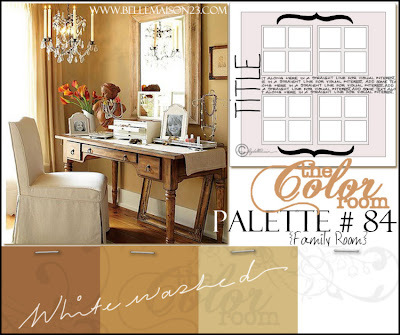 Its such a scrummy palette, which lends itself to using all those woodgrain pp's in your stash ;) If your a card maker or OTP fanatic The Color Room would love to see your designs in the gallery so come on over and share your gorgeous designs we'd love to see them. 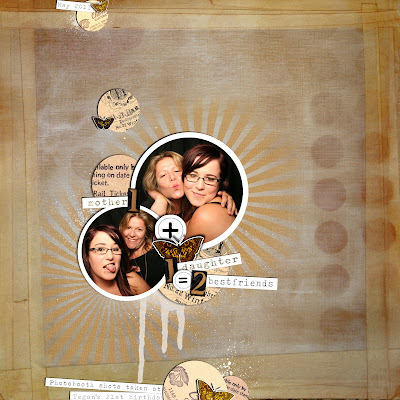 Here's my digi page of one of my dearest friends Shanthe with her daughter Tegan on Teegs 21st birthday. It blows my mind that Teegs is 21 it only seems like yesterday when I got the call she was born and scooted off to hospital to see an 8 week premmie bubba and then in a blink of an eye she is grown up, at uni studying Criminology and is a gorgeous young woman. 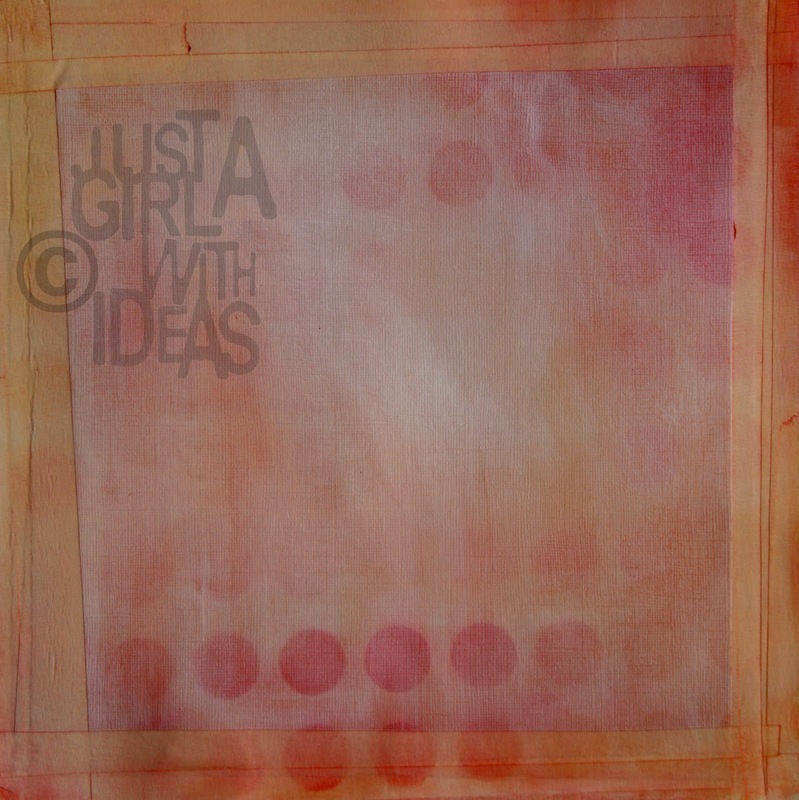 I created the digital paper base by photographing a paper I had made using gesso, The Crafters Workshop Circle Grid template and masking tape then converting the colour to work with the palette, here is the original paper design. 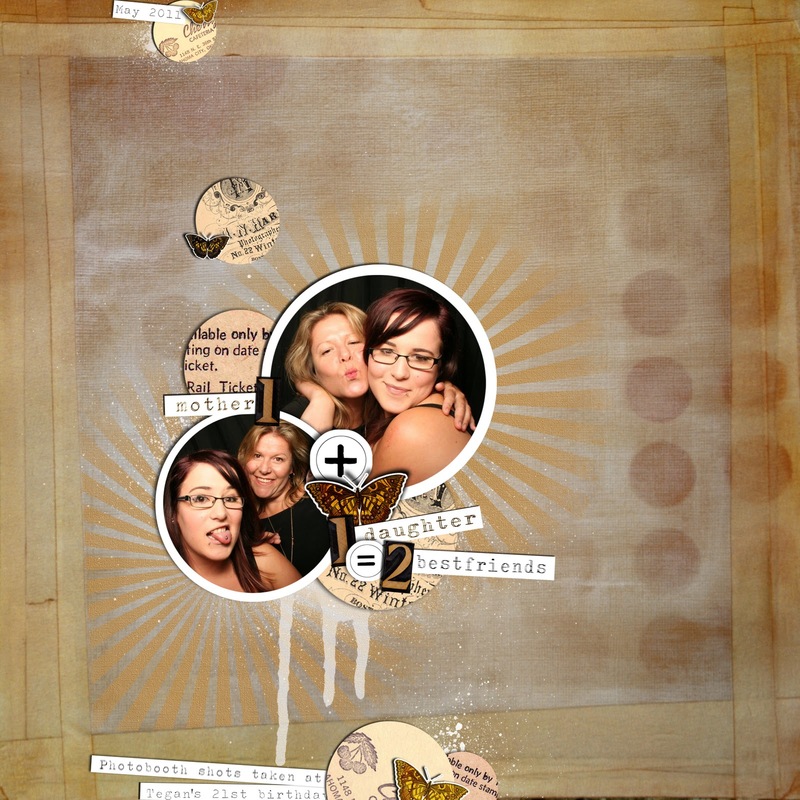 Beautiful love the way you made the page digi and beautiful set of colours for the week. Wow! You did a great job with the pallette!! !I love it! Oh Em this is just fab! You really did a wonderful take with those colors! 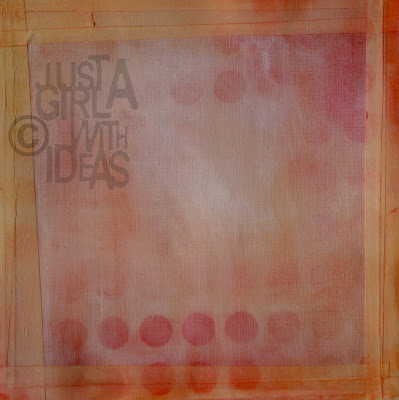 Love your take on the palette and the background is fantastic !! You really did a wonderful job with that palette!!! Gorgeus work I love all the details. Thanks for your visit and lovely words in my page you always are so nice and sweet with me .You make me very happy.. I wish a great weekend.